At Aero 2013, Tecnam mounted a very large display with nearly every one of their many current aircraft. At center stage was the brand new Astore, their first new low wing Light-Sport Aircraft in many years, named to commemorate the company's 65th anniversary. In this video we interview Paolo Pascale, Tecnam's managing director. He doesn't often do media interviews, we're told, so enjoy his view of the new aircraft. At Aero 2013, Tecnam mounted a very large display with nearly every one of their many current aircraft. At center stage was the brand new Astore, their first new low wing Light-Sport Aircraft in many years, named to commemorate the company’s 65th anniversary. In this video we interview Paolo Pascale, Tecnam’s managing director. He doesn’t often do media interviews, we’re told, so enjoy his view of the new aircraft. Read More About: Astore Tecnam Costruzioni Aeronautiche Tecnam US Inc.
Revised Article UPDATED: 6/5/15 / New total LSA and LSA-like chart (at bottom) — At best statistics can be fluid and hard to state precisely. In response to my request for any Australian input below, Neil Jansen responded, "I found some data sourced from the authority that manages such aircraft categories in Australia (Recreational Aviation Australia)." He attached a PDF article. After my review of this document, I can say that I was not grossly off in my guesstimate of 2,000 LSA-type aircraft. I attempted to be conservative and evidently I was. From a review of the charts and article, I would now increase my Australia figures from 2,000 to perhaps 2,700 so the final calculus of around 50,000 worldwide aircraft looks even more solid. That said, my European counterpart, Jan Fridrich, and I since had a conversation that suggests even 50,000 may not fully cover it. However, better to be conservative on such estimates, I believe. —DJ One of my favorite tales was taken from an old Delta Air Lines house magazine, the sort sent to employees of the company before email invaded our lives. Airlines have their own meteorology departments and the Delta guys once wrote, "Every time you forecast the weather, you know you're wrong; you just don't know by how much or when. If you are ever right, never let 'em forget it." Ah, yes, remember when we correctly forecast that big storm, back in 1967? I got a lot of chuckles from telling that story. Weather forecasting is much better today, but statistics can often be wrong despite best efforts. Along this line, I heard from a reader, an engineer in Italy, "In your article 'Analyzing Statistics on Worldwide Aviation,' you did not mention my country." In this update article, I wish to correct that shortcoming and add a couple more pieces of information. The result of my deeper examination pushes sport and recreational aircraft closer to 50,000 worldwide. My Italian reader, who preferred I did not use his name, wrote, "Apart from being the country from where several LSA aircraft arrive — he mentions Tecnam, which may be the largest LSA and light aircraft producer on the planet — we have over 13,000 registered "ultralight" aircraft with the Aeroclub of Italy (a national institution managing registrations of ultralight aircraft, including gyrocopters and helicopters)." I add that Germany does something similar with its DAeC and DULV, which might account for GAMA having zero information about microlights in Germany, a nation I know to have a significant number of such aircraft. The Italian engineer continued with his amplification, "Although the number (13,000) includes 'ancient' aircraft from the '80s that might be out of commission now, I can confirm that well over 6,000 aircraft are flying from hundreds of grass strips and aerodromes across the country." As such, this places Italy — correctly so, based on corroborating information — in the top tier of countries with a large base of light and sport aircraft. "The reason why [the aircraft count] is not so obvious," he further clarified, "is that the certification of pilots and aircraft is done outside of ENAC (Italian equivalent of FAA) and therefore does not get reported in the usual channels where numbers of registered aircraft are accounted." 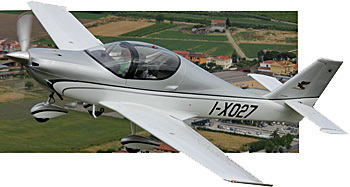 "Ultralight (generally meaning the European name for light two seaters, not the U.S. superlight single seaters) registrations for Italy follow the [aircraft registration] format I-1234, or I-A123 now that we passed 10,000 registrations. I have seen I-C1xx (can't remember the exact number, but it means that we passed 13,000 registrations already)." He added, "I think we had over 2,000 in the last five years or so." 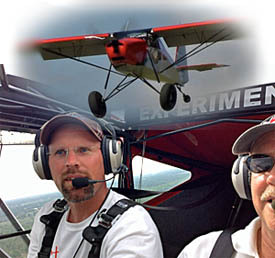 Looking at the pilot side of the equation, he noted, "On a forum I read the impressive number of 17,500 active ultralight pilots." "So, despite the obvious intention of keeping a low profile to make sure that the Revenue Service does not develop some new creative tax to hit a vulnerable sector, it looks like there are plenty of pilots and planes filling our skies," the Italian writer concluded. He then invited, "Come visit and we'll be happy to show you around." That's an offer I'd like to take when I also wish to visit the large Tecnam facility in Italy. My source finished his message saying, "I fly a older Aeronca with American N-numbers using an FAA Private certificate and therefore I don't even show up in that list." I also managed to overlook two other countries of note. My apology and the only excuse I can offer is that GAMA assembled a great deal of info and I simply did not absorb it all. However, the news is good for the light aircraft sector as the numbers rose considerably from my first estimate of about 40,000 light and/or sport aircraft in the world. I still don't know exactly how to evaluate Australia's numbers — as they did not break out the LSA-type group in any identifiable way — but I would conservatively guess their microlight/LSA/VLA sector could have around 2,000 light or sport aircraft. If someone in that country knows better, please do educate me. I'd like for these reviews to be as accurate as possible. However, neighboring New Zealand offered more data. Their listing through me off as they switched methods after 2005 and again after 2010. Yet based on further study, I can see they show 1,059 "microlights" and they once showed a high, in 2009 of 1,853 "Sport" aircraft. From this I might guess they have around 2,000 of what might be called LSA-types. So, with good Italy info and more from down under, I feel reasonably confident reporting that pilots around the globe fly somewhere around 50,000 light, sport, recreational aircraft. The update of substantial information about Italy and my further pondering of the many pages in GAMA's detailed report suggest two things to me. First, statistics are devilishly hard to obtain and are subject to all sorts of inconsistencies, many of human origin. Secondly, no matter how you cut it, light and sport aircraft are a very substantial sector of the worldwide family of aircraft. Here you can examine our chart for LSA and LSA-like aircraft around the world. Please consider all the notes to interpret the figures. Revised Article UPDATED: 6/5/15 / New total LSA and LSA-like chart (at bottom) — At best statistics can be fluid and hard to state precisely. In response to my request for any Australian input below, Neil Jansen responded, “I found some data sourced from the authority that manages such aircraft categories in Australia (Recreational Aviation Australia).” He attached a PDF article. After my review of this document, I can say that I was not grossly off in my guesstimate of 2,000 LSA-type aircraft. I attempted to be conservative and evidently I was. From a review of the charts and article, I would now increase my Australia figures from 2,000 to perhaps 2,700 so the final calculus of around 50,000 worldwide aircraft looks even more solid. That said, my European counterpart, Jan Fridrich, and I since had a conversation that suggests even 50,000 may not fully cover it. By their reported numbers Tecnam lays claim to be the largest producer of very light aircraft. I use that term versus Light-Sport Aircraft as the Italian manufacturer is not the leading LSA seller yet their sales figures support the company being the world's largest for LSA-type aircraft. For at least the last couple years, Tecnam has reported sales numbers in the 200 per year range. I have no way to independently verify that volume but it's clear they are a success story. Tecnam's website states, "With over 3,500 Tecnam airplanes operating around the world today, Tecnam customers and operators are supported by a global network of over 60 dealers and 100 Tecnam Service Centers." They boast a wide range models, including Eaglet, P2008, the aerobatic Snap, the newly introduced (to Americans) Astore, and their Twin. In addition to the Astore unveiling Tecnam announced a major news development and several noteworthy initiatives for the U.S. market. First, the airplane info ... Astore was first seen at Germany's Aero show last April although the dramatically unveiled new model was not then flying. By the American debut on opening day Tuesday at Sun 'n Fun 2014, the airplane had taken to the air (in June 2013), production was started, and the first deliveries have begun. All Tecnam models other than Sierra are high wings but Astore updates the earlier Sierra with a sleek low wing design that shows the high state of the art from the Italian manufacturer. Check the company's website for many more details about the new model but Tecnam makes complete use of the Apple iPad Mini that comes as part of its American version. On the popular touchscreen device customers will receive a pre-installed, dedicated app that can compute the actual weight and balance plus provide checklists and includes all sections of the Pilot Operating Handbook. 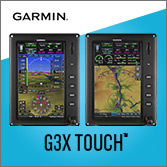 Tecnam plans to offer the also-newly-introduced Garmin G3X Touch. In addition to revealing their new Astore, Tecnam made a major announcement that should provide their most significant move yet to support American customers. At a press briefing at their exhibit at Sun 'n Fun, they announced the establishment of Tecnam US Inc. with a 21,000 square foot hangar and office location at Sebring Airport, Florida where they will start offering customer service and support, spare parts, plus reassembly of LSA and Part 23 certified aircraft models shipped from Italy. Sebring will also become the base for North American sales and marketing led by Director of Sales, Shannon Yeager. 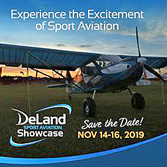 Sebring Airport Director Mike Willingham said, "We are proud to be the home of the annual US Sport Aviation Expo [and are pleased about] Tecnam choosing Sebring as the showcase facility in North America." 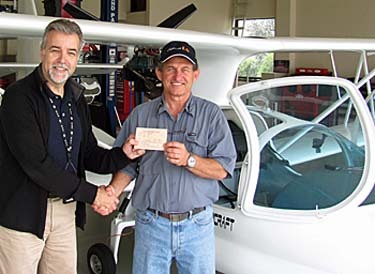 Tecnam expressed gratitude for the advice and support of Phil Solomon and Tommy Grimes of Heart of Virginia Aviation. As the former distributor, HOVA will continue representing Tecnam along with West Coast Sport Aircraft in California and the Midwest Company located in Minnesota. "All locations will have Tecnam aircraft demonstrators available for flight tests by prospective customers," said company officials. 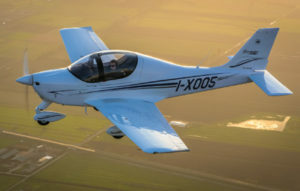 They will initially market three Light-Sport Aircraft: P2008 LSA, Astore LSA and P92 Eaglet LSA plus two Part 23 certified models, P Twenty-Ten and P2006T light twin. Other models such as the P2002 Sierra, P92 Echo Light and P92 Tail Dragger will be available on request. Not content to rest on a new model and a new U.S. location, Tecnam also announced a new payment program that could alter how LSA are sold in America. "A new payment policy has been introduced that is simple and straightforward," said Tecnam. 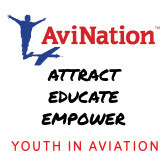 "A 10% deposit is payable at the time an order is placed, with the remaining 90% payment not due until the aircraft [has received its airworthiness certificate] and is ready to fly from either the Florida or California assembly facility." 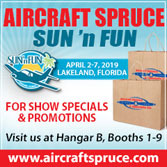 Potential customers can also experience a demo flight at the new Sebring facility, and Tecnam US Inc. will contribute up to 50% of related travel expenses up to a maximum of $1,000. Upon purchase of an aircraft the remaining 50% will be reimbursed with a provision for additional reimbursement for a spouse or partner. These methods should remove uncertainty from prospective customers who have previously been hesitant to send substantial sums overseas while waiting for delivery. Tecnam CEO Paolo Pascale added, "We are very grateful for the support of [Sebring airport manager] Mike Willingham and all his Sebring team. This first phase of our evolution and expansion within North America will be quite challenging, and is just the start of fulfilling our ambition to set up a dedicated production facility in the USA. 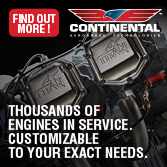 We are totally focused on doing all possible to enhance our customer's experience of, and access to, all things Tecnam." By their reported numbers Tecnam lays claim to be the largest producer of very light aircraft. I use that term versus Light-Sport Aircraft as the Italian manufacturer is not the leading LSA seller yet their sales figures support the company being the world’s largest for LSA-type aircraft. For at least the last couple years, Tecnam has reported sales numbers in the 200 per year range. I have no way to independently verify that volume but it’s clear they are a success story. Tecnam’s website states, “With over 3,500 Tecnam airplanes operating around the world today, Tecnam customers and operators are supported by a global network of over 60 dealers and 100 Tecnam Service Centers.” They boast a wide range models, including Eaglet, P2008, the aerobatic Snap, the newly introduced (to Americans) Astore, and their Twin. In addition to the Astore unveiling Tecnam announced a major news development and several noteworthy initiatives for the U.S.
65 Years Later … Tecnam Astore Flies! Astore comes standard with an Apple iPad® mini on a swivel mount (arrow). I just wrote about Van's Aircraft, a 41-year-old company that just came out with their first ready-to-fly airplane. Now I want to talk about a 65-year-old company and a 65-year old airplane design, Astore. First came a 1948 Astore. 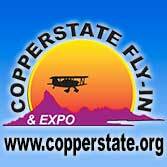 Recently the 2013 Astore — just unveiled to the public last month at the Aero show — took to the air on its first flight. The Italian company showed again that they can take one of Professor Luigi's new designs and achieve it in a remarkably short time. Head of Aircraft Design for Tecnam through the decades, Luigi Pascale will celebrate his 90th birthday later this year. As a young man he designed the first Astore and many more aircraft since. Yet this senior engineer seemingly doesn't need a rest. Company Managing Director Paolo Pascale said of his uncle, "He is enjoying the design work ... it keeps him alive!" Watch our video interview with Paolo to hear more about the new model. Tecnam's Astore is their all-new two-seat, low-wing, next-generation Light-Sport airplane celebrated as part of the company's 65th Anniversary. On May 27th, 2013 Tecnam test pilot Enzo De Blasio reported the newest model performed a flawless maiden flight. "Astore's behavior noted from taxi to landing includes really short ground roll radius and good feeling with the oleopneumatic shock absorber on nose gear," he reported. "Incredibly high elevator power during high speed roll and improved efficiency can be immediately recognized once airborne." He added, "All the promises of this wonderful, comfortable, quiet and fast aircraft are going to become true!" Astore's instrument panel incorporates an Apple iPad® mini that is supplied with each aircraft as standard equipment. Combined with Levil's G Mini and using its WiFi connection, iPad® Mini provides a full primary flight display using compatible third party applications such as Air Navigation Pro or similar. Additionally, Tecnam reports a pre-installed, dedicated app will compute the actual weight and balance, provide checklists, and include all the Pilot Operating Handbook sections. 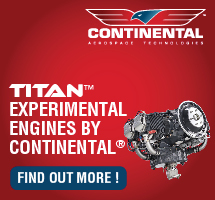 "Low operating costs are assured through Tecnam's close association with Rotax Aircraft Engines," added the company. 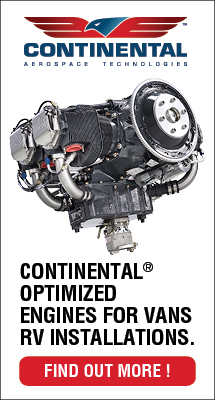 Teaming up with the leading engine producer joined to an efficient airframe, Tecnam offers customers a choice: the proven carbureted Rotax 912ULS, fuel injected 912iS, or the turbocharged Rotax 914 engine ... any of which can work on mogas, avgas, or a mixture of either in any ratio. I just wrote about Van’s Aircraft, a 41-year-old company that just came out with their first ready-to-fly airplane. Now I want to talk about a 65-year-old company and a 65-year old airplane design, Astore. First came a 1948 Astore. Recently the 2013 Astore — just unveiled to the public last month at the Aero show — took to the air on its first flight. The Italian company showed again that they can take one of Professor Luigi’s new designs and achieve it in a remarkably short time. Head of Aircraft Design for Tecnam through the decades, Luigi Pascale will celebrate his 90th birthday later this year. As a young man he designed the first Astore and many more aircraft since. Yet this senior engineer seemingly doesn’t need a rest. Company Managing Director Paolo Pascale said of his uncle, “He is enjoying the design work … it keeps him alive!” Watch our video interview with Paolo to hear more about the new model. Here are two aircraft from sources thousands of miles apart. Likewise, the aircraft could hardly be more different yet each has something special about it. You'll want to catch both videos. We'll start with the one we flew: Just Aircraft's brilliant Highlander SuperSTOL. The company has delivered more than 300 Highlander kits making the side-by-side two seater a hit on its own. However, the design truly arrived with the SuperSTOL edition. You'll want to watch this fascinating video as lead designer Troy Woodland takes us all around this remarkable machine. Then go aloft with us as we feature cameras mounted on the wing, inside looking at a landing, and even on the tailwheel for a most unusual viewpoint. You'll get to see why people watched with rapt attention every time Troy landed the SuperSTOL at the Paradise City runway at Sun 'n Fun 2013. Talk about a fun airplane to fly ... you literally land with the joystick full aft from downwind in the pattern until those big-boy tires meet terra firma. Seeing is believing so come on along for the ride. Then a week later, we traveled 5,000 miles to Friedrichshafen, Germany to attend Aero and to watch the unveiling of the all-new Tecnam Astore. In sharp contrast to the bush-capable SuperSTOL above, Astore is a highly polished Light-Sport Aircraft from a leading manufacturer. Astore is Italian for Goshawk but the real reason for the name is that the manufacturer is celebrating its 65th anniversary. They named the 2013 Astore after the P48 model using the same name way back in, you guessed it, 1948. Astore uses the same wings as the company's popular Sierra and Bravo models but every other part is brand new. The interior is a thing of beauty and not just because it comes standard with an Apple mini iPad® on a swivel mount. Astore's interior is huge and the seats slide way back to make entry a step-in affair; no more stomping on the seats to enter this luxurious LSA. Baggage area is also spacious and a separate outside door makes loading easier. In our video we spoke with Tecnam's top boss, Paolo Pascale, who broke his usual tradition by consenting to our media interview. 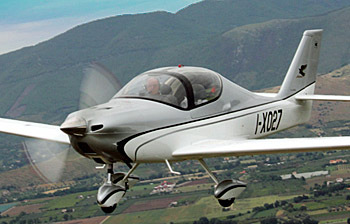 Hear how Astore completes the extensive Tecnam line. You can also explore our entire video library — closing on 300 videos, all free of charge — on our LSA Videos page. All videos are done in collaboration with Lightsport and Ultralight Flyer. Here are two aircraft from sources thousands of miles apart. Likewise, the aircraft could hardly be more different yet each has something special about it. You’ll want to catch both videos. We’ll start with the one we flew: Just Aircraft’s brilliant Highlander SuperSTOL. The company has delivered more than 300 Highlander kits making the side-by-side two seater a hit on its own. However, the design truly arrived with the SuperSTOL edition. You’ll want to watch this fascinating video as lead designer Troy Woodland takes us all around this remarkable machine. Then go aloft with us as we feature cameras mounted on the wing, inside looking at a landing, and even on the tailwheel for a most unusual viewpoint. You’ll get to see why people watched with rapt attention every time Troy landed the SuperSTOL at the Paradise City runway at Sun ‘n Fun 2013. Talk about a fun airplane to fly … you literally land with the joystick full aft from downwind in the pattern until those big-boy tires meet terra firma. Read More About: Astore Highlander Just Aircraft Tecnam Costruzioni Aeronautiche Tecnam US Inc.
Tecnam teases with this artsy black and white image of the Astore's nose cowl. 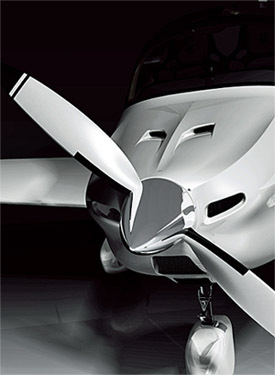 The new LSA will be unveiled at Aero 2013. The low wing Sierra has more FAA registrations than any other Tecnam Light-Sport model. Astore may look similar to this Sierra but we'll have to wait for its European debut to get the whole story. 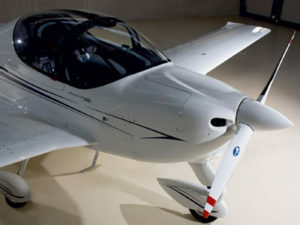 Tecnam announced that it will reveal their "Astore" next generation Light Sport Aircraft at Aero Friedrichshafen 2013 in Germany on April 24th. "Astore is an all-new, two-seat, low-wing airplane that offers superlative performance," wrote company officials. The Italian company celebrates its 65th year in 2013 and saw fit to name the new model accordingly. "What could be more fitting in this special anniversary year than for Professor Luigi Pascale, Tecnam's legendary head of aircraft design, to name his new creation in honor of his first production aircraft, the P48 Astore." Tecnam has a tradition of naming models for the year the design was introduced. Tecnam said their new Astore "affords the pilot the smoothest and most pleasurable flight with innovations such as an Apple iPad® mini supplied with each aircraft as standard." They'll use a Levil G mini WiFi connection to supply information for the smaller Apple tablet so it can act as the Astore's Primary Flight Display. Compatible third party applications suited to the iPad® mini will give the inexpensive tablet novel and ever-evolving capabilities. Tecnam reported that they will pre-install a dedicated app useful to compute the actual weight and balance and provide checklists specific to Astore. The iPad® mini will also include all Pilot Operating Handbook sections. 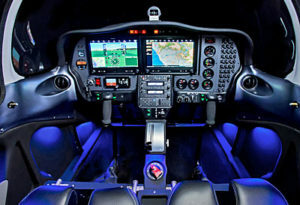 Designers created "a new ergonomically designed interior allowing for enhanced all round visibility, controls and switches that can be easily reached, and the use of softer materials affording a more comfortable flight." 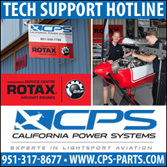 To power the Astore, Tecnam will let customers choose the carbureted Rotax 912ULS, the newer fuel-injected 912iS, or a turbocharged Rotax 914 engine. "We have built our reputation at Tecnam on producing airplanes that offer outstanding value, beauty, and efficiency," said Paolo Pascale, Tecnam's Managing Director. Astore joins a fleet of LSA aircraft including the Echo in several variations, Eaglet, Bravo, P2008, and the also low wing Sierra (nearby photos). Although all have sold well in the USA, the all metal Sierra has more FAA registrations than any other single model, so it would appear Professor Luigi and Director Paolo Pascale are appealing to those who prefer this style of construction. 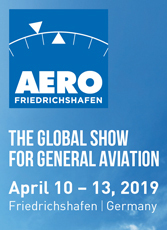 LSA fans will get their first chance to see Astore and to get more information at Aero. The show runs Wednesday April 24th to Saturday 27th and ByDanJohnson.com will be sure to update this article after viewing the new model. Tecnam announced that it will reveal their “Astore” next generation Light Sport Aircraft at Aero Friedrichshafen 2013 in Germany on April 24th. “Astore is an all-new, two-seat, low-wing airplane that offers superlative performance,” wrote company officials. The Italian company celebrates its 65th year in 2013 and saw fit to name the new model accordingly. “What could be more fitting in this special anniversary year than for Professor Luigi Pascale, Tecnam’s legendary head of aircraft design, to name his new creation in honor of his first production aircraft, the P48 Astore.” Tecnam has a tradition of naming models for the year the design was introduced. Tecnam said their new Astore “affords the pilot the smoothest and most pleasurable flight with innovations such as an Apple iPad® mini supplied with each aircraft as standard.” They’ll use a Levil G mini WiFi connection to supply information for the smaller Apple tablet so it can act as the Astore’s Primary Flight Display.